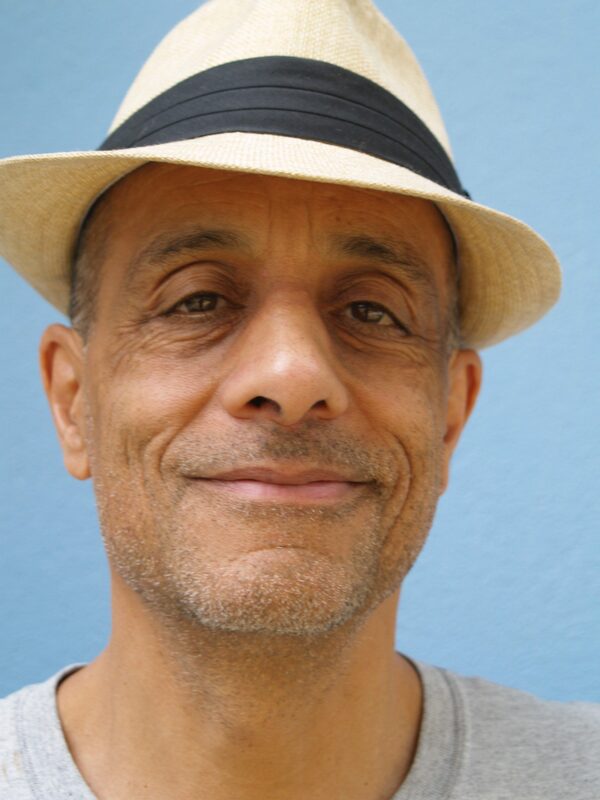 David Katz interviewed Julian Henriques Feb. 14, 2017, following the Global Reggae Conference held at the University of the West Indies, Mona, Jamaica. Photo above ©David Katz. David Katz: Please introduce yourself. Julian Henriques: My name is Professor Julian Henriques. I work at the University of London, Goldsmiths College, in the Media and Communications Department. My research interest is in reggae sound systems, in particular the culture of sound and the sound of culture, and that comes from a background in making films for many years, many of which featured reggae soundtracks and settings that involved people that make the music. Let’s talk a little bit about your cultural heritage, where and when you were born and raised. I was born in Leeds in Yorkshire. My dad was Jamaican and my mum was of Irish and English descent, but my connection with the Caribbean has always been very strong. My dad brought myself and my two brothers back to Jamaica when I was 15 or 16, and that was part of his gift to us, I suppose. We toured around several islands and ended up in the place which is still my favorite, which is Frenchman’s Cove in Port Antonio, Portland [in Jamaica]. And that was the beginning of a longstanding working relationship with the island, not only coming here on family holidays, but also working here over the years. My first trip back was actually when I was working for a company called London Weekend Television. I did a documentary, that was my first film directing experience; I found this story which was really good, it’s some pyramid selling, only with land grabs and stuff, so I managed to track down the person responsible, who was very happy to show me around the villa with swimming pools, etc,, on the proceeds of this scam. So I telegrammed back to my bosses and said, “Look, I’ve got this guy who’s waiting to be interviewed,” and so they said, “Well, you can go ahead and do it then.” That was my first directing gig, so I owe Jamaica for that. I can’t remember. Basically they were selling plots of land which were in actual fact over the edge of a cliff. It could be called Jamaican imagination, one could say. Anyway, it was a very profitable scam, and yeah, the story was grabbing hold of pensioners’ life savings, you know, the Jamaican immigrant generation that would come over in the '50s and '60s, they saved up and they wanted to buy a plot on the Rock. And it ended up in many tears. That must’ve been early '80s, I think. But I was also…I’d been and I still am great friends with Sistren, with Honor Ford-Smith, and Hilary [Nicholson], and so I stayed with them when I was back, and I was able to do journalistic work from a base that they had at that point up in Stony Hill. Yeah, absolutely, who were total pioneers of People’s Theater, I mean that’s a long tradition in Latin America, as you well know. And it was a very, very exciting time. I was working for the BBC so I shot a film on them when they visited London. Then, in 1996, I took a job here at the University of West Indies Mona CARIMAC, which is the Center for Media and Communications, and I was directing the film and television program department, and that really embedded me in the country, in the life, because one of my daughters was here with me, and she was at school up the road from the campus; once you’re a parent with a child in school, you’re kind of part of the society, which is great, and she really enjoyed it. And we consequently share very similar tastes in music until now, which is absolutely beautiful. And I’d already made several films in London, for my own production company. But the major project when I was here was actually writing my feature film Baby Mother. And so that was done in the early mornings before teaching here. And then, in effect, I took total leave from the job here to be able to actually go to the production as the director of the film, which came out in 1998. You went back to Britain then? I was back and forth, and it was filmed in Harlesden [northwest London]. So it’s that sort of film type research which I could do here into the sound system, into the reggae dancehall culture, which I then later purposed for academic research, if you like, for books and papers and such. But on Baby Mother, it’s only two things I remember particularly for here, one was it being shown in Sovereign Plaza at the Palace Cinema. Seeing it shown there in front of a Jamaican audience was really something else, in terms of the participation. Because you know, the culture is the same, that’s what we know and loved, it’s a global kind of thing. So capturing what was going on at that particular moment in the late '90s in Harlesden as a Caribbean, Jamaican area of London, there were a lot of resonances for a Jamaican audience with that. And yet it of course it’s a different scene musically. And so that was good, but the other time, after that doing the research, when I made the film being shown in the cinema here, was using it as a research tool. So I went down to meet the “Don” of a community, and using the film as a research tool was very interesting, and when I was continuing with my research here in Jamaica, going down into the ghetto area, the only way you can do research is with the blessings of the Don. And so, and in a way, he gave me his permissions, but on the condition that I show the film in the community, for the locals to know who I was. And indeed we set up a kind of a strange thing, just a big TV set, but with a kind of awning, which played Baby Mother on a loop for like a day and a half, so the local people could be familiar with it. And then, when I approached them, I could say, “Well, I’m the person that made that film,” given that they thought the film was more or less O.K. So that was a good entrée, and actually makes a nice segue between filmmaking and research, cause what I was doing then was going deeper into the culture, and about how the music works and stuff. 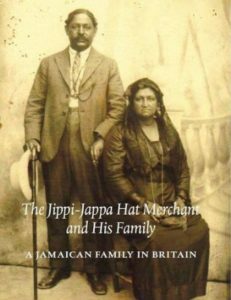 In the book The Jippi-Jappa Hat Merchant and His Family, you and your relatives describe a very multiethnic component to the Jamaican side of your family. So I wondered if you could crystalize that in a few words, and what thoughts you have about how it positioned you in terms of the research that you’re doing. Jamaica is a very rich culture, and it’s a very diverse culture in every possible way. Geographically, it’s only a small island, but in terms of climate, its ecosystems and such, there’s a huge variety, but also in terms of, if you like, racial and cultural backgrounds, the country is very, very rich. My own ancestry has immense Sephardic Jewish persons, and I probably think Arawak, or Taino people in the ancestry, and Spanish, from Cuba. It’s a typical Jamaican kind of mix, and that makes me a Jamaican, but it also means that there’s a kind of…this, in fact, is what my father, Fernando Henriques, wrote about in his research, which is color caste system, right? And there’s a whole class system which is manifested through skin tones. Yesterday I was up at the Papine Market, and there was the usual beggar on the street, and they referred to me as a brown man, right? Which is what I am in Jamaica: I’m a brown man, not a black man, which is completely different from being in England, where back in the day; what they now say is black and brown, the younger generations of political category is where I would look at myself. And again, I spent some time doing research and writing in Lagos, Nigeria, and that is such a contrast to both the multiculturalism of Britain and the multiculturalism of Jamaica, insofar as that is an African country, and you go everywhere and you won’t see anybody but Africans, and you go to other places where I’ve gone, where you’ll find your Sephardic and Jewish, Lebanese, and so on. So that’s allowed me to understand the richness of Jamaican culture by those contrasts of Britain and Lagos very well. In terms of that actual book, you mentioned a Sephardic Jewish heritage, and certainly the name Henriques is strongly associated with that, but in the book itself, there didn’t seem to be actual, tangible evidence of that link, and I wondered if that was ever uncovered or if it was just presumed. Because funny things happen with names. Yeah, they do. I mean, the name Henriques is very, very common in Portugal, and they say it was the Portuguese, Vasco de Gama, who sailed the New World; he landed up in what is now Brazil, and then went north, and so that was the ancestry that I might share. There was a bit in the book, in the chapter that I wrote, of the Jewish connections, but as with every family, there’s always so much more to explore than what we know. But the book, The Jippa-Jappa Hat Merchant and His Family, was a very, very useful tool. It was very actually strenuous in terms of getting the research done, and getting family members to commit, and honor the commitments that they’d made, but it was an incredibly worthwhile project that I would recommend for every single family. Conceptually it’s not that difficult; it’s the memories and the recordings that many families are making anyway. And as the ephemeral nature of our digital world goes on, the more it’s important to consolidate ourselves, I think, in terms of analog, hard copy. Your father was quite an established academic, particularly his writing in relation to Jamaican society. Maybe you can talk a little bit about his work, and how has that informed your work, if at all. Well it has, actually, and this was pointed out to me by my friend John Akomfrah, the filmmaker and artist, he pointed out to me that in fact I was literally following in my father’s footsteps, insofar as my interest in the popular culture, in dancehall and the sound system, was in a way an analog of what my father had been interested in in the popular culture of pocomania, and myal, and obeah in Jamaica, the culture of the ordinary people. And so that was a bit of a shock, it’s always a bit of a shock to have yourself reflected by someone else. And so there is a way in which I see myself doing a similar kind of work, albeit in a different era to what my father was doing, of actually recognizing the value and importance of the popular. And that is something that’s an ongoing life work for me and many, many other people. Not least, all of us in the conference we’ve just been part of. And it raises all kinds of interesting questions about why, the comparatively small extent to which this great richness has been recognized by those that run Jamaican society, that is to say the middle classes. That raises a lot of issues. 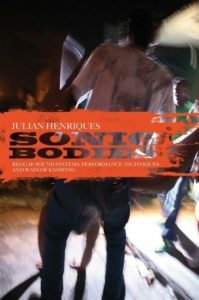 So let’s talk a little bit about your book, Sonic Bodies: Reggae Sound Systems, Performance Techniques, and Ways of Knowing, published by Continuum in 2011. For me it was a book in several parts, or maybe two main parts, but with several different components. And it’s quite a multifaceted work, and something that is nonstandard in a lot of different ways. But maybe you can try to crystallize what’s in it. Sonic Bodies comes out of my love for all of the sound system culture, as a follower, as a fan of the music; it has always been part of my life. And it came out of a process of film research. I was making films, reggae musicals in which I was commissioning lyrics and working closely with musicians to build the tracks to tell the story of the film, in the standard Hollywood-type of tradition of musicals. So when I came to do Sonic Bodies, I’d done my Ph.D work and I was basing it on that, and I wanted to basically to make a book that would be interesting for people who are into reggae music and the culture and the technologies of the culture, of which there are many. It’s a niche, but it has a very broadly shared niche, it’s a niche where you find reggae lovers all around the planet, quite literally. So I thought that was a good target audience to have. But also I wanted to, in a way, to be more ambitious than just describing something, because there are many books, not least David Katz’s own books on particular musicians and stuff, which are extraordinarily valuable and give a real insight. I mean, I think particularly the Lee "Scratch" Perry book, it gives a real insight into one creative genius, of how the different components come together to allow these extraordinary inventions to be made. And so what I wanted to do was to describe the actual practices of more particularly the engineers, the selectors, and the MCs or DJs of the work, the sound system. So it became a book of what I call the ways of knowing of these practitioners. I mean, they do a lot of extraordinary things, many of which they wouldn’t necessarily be able to put into words, until in fact, you sit down and talk with them and give them the respect that they deserve. I’m thinking particularly of the engineers, cause the selectors and the DJs get a bigger sort of media profile. But the actual, the backroom boys, so to say, have produced the instrument, I call it, the instrument of the sound system; it’s a musical instrument which they’ve invented and they’ve refined over years. And so, I was very interested in capturing their understanding, and giving respect to the subtleties that it involves, and what they could tell us about how they understood what they were doing, not just in terms of resistors and frequencies, but also the effects on the bodies of the crowd in the dance hall. So I became very, very interested in that, and that was the second thing, if you describe the sound systems for people who are interested, then describe the knowledge base or the ways of knowing of the people that actually make them. And then finally, the third part of it, which is actually, say, well, perhaps what we now know of what the practitioners can actually influence or can change what we think knowing itself is. So it became almost a philosophical critique of standard models of knowledge, classically the epistemic knowledge. Foucault talks about that a lot, which of course is very valuable, but it may be not the only kind of knowledge, and it may be that the ways of knowing of the sound system engineers and practitioners can add to our understanding of what knowledge itself is. So it’s quite a broad range of areas that the book tries to cover. For me, the more tangible elements of the book were in the early stages of the book, where you give this kind of diagrammatic breakdown of what actually is a sound system, and how does it function through this team, and so on. And you did this through testimony most strongly from Wee Pow and the Stone Love people, so maybe you can talk a little bit about your understanding, as you laid it out in this book, of what sound system is, how it functions, and then also if you can describe how easy was it to become embedded in Stone Love’s experience, or the process of doing that research. O.K., let me start with the process. Doing research in a ghetto area, you have to go to the “Don,” right? Well, the Don of a sound system is obviously the owner, and with Stone Love, that is Wee Pow, and so I finally got a meeting with Wee Pow, to get his blessing for me to be able to talk to his crew. It’s the only way you can do it. You can’t go in on the side, cause you won’t get anywhere. So that’s that sort of basic technique, to go to the top. And so, Wee Pow got me introduced to the people that I needed to meet, and I remember the first thing, I went to his Stone Love HQ in Burlington Avenue, and then, basically he said, “O.K., we’ve got a gig tonight.” So you know, the decision was made sort of in processing; he doesn’t mess around, Wee Pow. And so I was on the back of the motorbike of the late Gilly Priest—he was killed since those days—and Gilly Priest took me on the back of his motorbike to where the gig was, which was in fact Skateland, just in Half Way Tree, a famous, famous venue, and it turned out to be an absolutely fantastic gig. The four or even five sound systems playing that night, each of them had their own set. Let me say that again: Each sound system had their own set! This was about 2002 or something like that. And a sound system was not a bag of mp3s, it was a big set of equipment. And so literally, you had almost like a battlements: You had the speaker boxes, three for each set, and you know, three times four is 12—12 boxes. You can surround a pretty big area, which is precisely what happened. Anyway, that was one of the key observations of doing the research and finding out how it worked. And if you were there from four o’clock in the afternoon, obviously you can see how it happens; you can see physically, you don’t even have to chat a lot. As the truck with the boxes comes in, who drives it, who unloads it. An anthropologist called Clifford Geertz had this phrase, “thick description,” which is a very, very useful one; just take it down seriously, what you’re seeing. Take notes. Take pictures. Chat to people. Find out what they think they’re doing. Find out what you can see. And if you approach it in that sort of really down-to-earth level, you can find out a huge amount. And the theory, in my view, has to come afterwards, if you’re going to make a point about why that is happening or how it’s happening. The theory should add to what you can’t observe, or rather, interpret what you can observe. And so, you get the personalities of the people and the traditional way for describing the crew is, the majority of whom were to be called box men, right? But Wee Pow said, “No, we’re not doing that any more. They’re maintenance crew.” And so just in that little thing, that gives you an instance of how he manages this vast operation of a sound system, and the logistics of it. So he was wanting to validate every member of the crew? Yeah, absolutely. There’s no reason to change the name, you know. And one of the many beautiful things about the sound system scene is, there is a basically an apprenticeship system within it: there’s an entry level kind of thing, hanging out, helping out. Being a maintenance crew, shifting the position of the boxes, and then the stringing up of the set in the venue. Of course, the chief engineer will have to…the positioning of the boxes is very important in whatever venue, cause it sometimes is nothing to take account of if you’re on a beach or something; you’ve got no reflective surfaces. But most urban settings, in the carparks and the shopping malls and stuff, where most of the sound’s on the street, literally, you’ve got reflective surfaces, so where you put your boxes is going to be very…in fact, I was hearing about how when they moved [the weekly outdoor sound system event of] Rae Town to [indoor cricket ground] Sabina Park, an early iteration of that was when they put it in the middle of the cricket pitch, which sounded like a good idea, but of course, it caught the reflection of the walls, which is not a good idea. Anyway, the engineers and the crew are very skilled at positioning the boxes. Of course, the boxes are heavy, and you can’t sort of say, “Let’s try it there,” and then if it’s not right sort of shift it two feet, 'cause it means taking it down completely, and the maintenance crew will not love you if you do it more than once. So there’s a lot to it. And by this thick description of what actually happens, the positioning, you recognize the complexities and the range of considerations and factors that the sound system crew have to embody. And that’s with the kit in a venue. And to get to that point, it’s the actual engineering of the set. To have the effects, and to have the qualities that are desired. And the tuning, there’s…man, I just really go into this. Perhaps it’s a bit nerdy; there’s a lot of detail involved. And I’ve got the utmost respect for the people who are managing that, because it shows what a sophisticated understanding they have of what they want to achieve. For me, these were some of the major strengths of your book, because as you say, this is not simple. And I think as often happens in writing about music, there’s been an unfortunate sound-bite-ization of sound system culture. But in your book, you make it clear that actually, this is a very complex process, even just the setting up of it, which is crucial. And then you also make some points, drawing on some other researchers, that in terms of the positioning of the sound system in the broader society, this is "bass" culture, as in the culture of the bass, but it’s also a "base" culture that starts right from the very bottom. And again, it’s still belatedly valued in Jamaica itself, if valued at all by the middle class. Yeah, I’ve described sound system culture in both spellings of that word, “bass” as in not treble, and “base” as in lumpen or subaltern working class. And it’s a strength to the culture, it has a very organic…it’s one of the remarkable things. Just thinking in comparison with hip-hop, which I don’t know enough about, that which has been more heavily commercialized, I would think, without having done the research. But also there’s a noncommercial kind of bedrock to the culture. It’s a necessity. Ninja Man was saying that. It’s really interesting, because of course artists have to be paid, and they do it for money, but if you’re gonna be able to chat a lyric, you have to have something to say. And the paycheck, if you get it, doesn’t actually stimulate that creativity. The something to say comes from where you are, who you are, what you’re relating to, your mates, and so on. And so that gives a strength to the culture. It also…I don’t want to over-romanticize the scene, but it makes it dangerous. I mean, look how many artists are in prison now; the lifestyle, the liberty of the culture means that the violence and poverty and deprivation and all kinds of issues are mixed in with the music. I mean, for good and bad, that gives the music something to talk about. And it gives the music, the lyrics, a value in a society where those issues are not being talked about in the mainstream media. And that is, frankly, an indictment of the responsibilities of the middle classes. Here you’ve got the working classes with unemployed, taking the responsibility; yes, of course they chat sexist lyrics, of course they chat violence, the gun lyrics and stuff, but also they chat education. And so if you’ve got to hear this, those with least resources are taking the most responsibility for actually the welfare of the populous. Well, that is not the position, you know; there is wealth in this society, it’s just not distributed properly, and so, those with the responsibility and the resources to back the music, and to back the culture and to give value to the resource that this represents for the whole island, including the middle classes, well, they’ve got some stepping up to do, frankly, in my view. Moving on to some of the more theoretical aspects of your book, the less tangible qualities for laypeople, one of the things you mention early on, you talk about triangulation and this element of threes and spatial placement in relation to the sound system. Describing a culture in all its richness is fine, and that’s what some of Sonic Bodies does, but then Sonic Bodies tries to use that to understand what’s really going on. And that has to be, if you like, deeper than a thick description. So you need to find some theories that are gonna be useful to tell you than what you can with just a straightforward account. And one of the sort of issues that comes up here, with a lot of the Western philosophical tradition, this is obviously a generalization, but it’s very much built on dichotomies, on differences, on separation. I mean, the classic one, which is Descartes’s of between mind and body, and the mind is the mental state and the body is the extension of that. Now that’s been very, very productive in the Western tradition, in terms of technology and all kinds of things, but it’s very, very destructive of understanding human relationships. And so if you’re in binaries, if you’re in opposites, there’s a lot you can’t get at in terms of relationality. And that’s why sound itself and sounding and music-ing is so important, to be able to capture the resonances we have with each other, the sympathies as we have of our human environment. And that is emphasized by the sound system itself. It’s a shared social environment, that you, a member of the crowd put yourself inside the sound. And that always contrasts with headphone listening, where you’re putting the sound inside you, which is useful when you’re on the tube, the underground, subway, or whatever. But it’s not the same. The sound system is a fully embodied experience. And so if you want to understand that fully embodied experience, we have to go outside the traditional Western philosophical way of understanding, in terms of binaries. You’re in the sound system, experiencing that. Your mind is not separated from your body. If there’s anywhere on the planet that you can find that, just go and listen to good sound, good quality, it’ll be loud but not damaging at all, you’ll be hearing it over your whole body and mind. And there’s an integration there. And so the idea of triangles, of triangulation, is a way to escape from those binaries of mind and body. And so, the many triangulations are used in the book, like for example, between the material wavelengths or vibrations, and corporeal wave vibrations, and socio-cultural vibrations. And you always have the three together, you can’t separate out the technology from the cultural, the people, etc. And that allows, in my view, a much richer of understanding what’s going on, and that extends very physically to the actual sound system set-up, where you have, the classic set-up is three speaker stacks, two left and one right, for a reason which I’ve yet to discover. And so it’s a triangulation, that you’ve got the sound pointing in at you, and that’s what gives the immersive qualities of the experience and allows an integration of mind and body that doesn’t occur so obviously in other circumstances. You also mention the physicality of the sound system, about the way that the body absorbs the sound. And you made a parallel in your talk the other night about Evelyn Glennie’s experience of being deaf, but still being a music composer and a musician. Basically, the Western philosophical tradition tends to…it’s divide and rule, to put it frankly, divide the mind from the body, but also within the body to divide up the senses, and this goes right back to Aristotle, before Descartes, that he said we’ve got five senses, right? Obviously the ears, eyes, nose, mouth, associated with the sensory organs and touch. And so the idea from that is that basically, hearing, listening is what the ears alone do. Well that, frankly, is not a very comprehensive or rich way of understanding what listening is about. And listening is something that is done with your whole body. Particularly in the liminal, the threshold loudness levels of a sound system, and so you can feel it vibrating, literally the different organs of your body, and that is an embodied experience, which is very memorable. And the Western way of understanding does such a disservice to actual experience. It’s unbelievable. I mean, you’ve got the example of Glennie, for example, who’s a percussionist, who in her ears is totally deaf. However, she’s used the next most sensitive part of her body, of our bodies, which is the soles of her feet, and she’s literally a world-leading classical music percussionist. Also Pete Tong had to do the same thing as well, the DJ, because he made himself deaf. And so we’re a whole mass of sensory surfaces, and touch happens all over the body; touch, or haptic sense, is how we hear with the vibration of the eardrum. But also one of my research projects is on basically babies in the womb, and they hear not through their ears, 'cause their ears can’t work underwater, but through their skull. And so the vibrations from the outside world are transmitted through the amniotic fluid to their bodies and their skull, and then the vibrations from the skull go straight to the middle ear, bypassing the outer ear. So as your book progresses, what I remember of it is that you basically draw from a range of mostly classical traditions from different parts of the world as a way of investigating the sound system phenomenon, or another way of looking at sound systems. And again, you mentioned some of that the other night, like the myth of Calypso, which you have to unpack that for me a little bit more, 'cause it’s a little hard to understand the link. You talk about Vedic tradition from India, and I remember something else with Pythagorean theorems. So in order to give the full respect and to understand what the often embodied and tacit ways of knowing of the sound system engineers and other crew members, I found it useful to go to other traditions. And in fact, the further away the tradition is from what you’re looking at, or listening to rather, possibly the better. And so I found quite a store of concepts in ancient Greek philosophy, which is very interesting. And, well, there are many examples of that. But perhaps the principle one is the idea developed of the sonic logos. Logos is a very complex word in ancient Greek, but it’s been interpreted in only one way, which is Logos as Word; in St. John’s gospel, “In the beginning was the Word,” which is fine, but that’s not the only way that intelligence, the logos, the intelligence can be understood. It can also be understood, “In the beginning was the sound.” Right? Which is a completely different thing because sound is something that we appreciate in an embodied way. Whereas the word needs a cultural apparatus, not necessarily written, but certainly spoken in order to interpret what intelligence is. So with a sonic logos, using the Greek word, it allowed me to have a broader and deeper understanding of the nature of the understanding of the sound system engineers and the crew. And so that’s just one example of how, if you like, a completely alien or foreign concept from a different era can be applied to give credibility, and to give recognition and respect to the actual findings, in this case, of the ways of knowing of the sound system crew. Pat’s question was a very good one. Obviously I was trying it out here, this usefulness of, if you like, the alien concepts; I hope it’s useful, but that’s, in a way, to give recognition on a world-civilization scale to what is happening in Jamaica. The culture of the dancehall, the culture that’s being developed in Jamaica is not just a little sort of add-on. It’s not a little sideshow. But what the claim I’m making for it, this is literally a world-class type of knowledge of sound, which is as sophisticated as we’ve seen in the most sophisticated of civilizations on the planet. I mean, can I make a bigger claim than that? But in order to recognize that, yes, of course, we have to dig into the culture itself, right? But also we have to have comparators, and that’s another tradition, the Indian, the Vedic tradition where we deal with chakras, but they’re dealing with vibrations, right? A chakra is a vibrational level, right? The sound system men and women are dealing with vibrations, they’re talking about, “If I have a little bit more of this frequency, that’s going to affect the howl…” And so you’ve got completely different times and spaces here as traditions. You’ve got a similar interest. And I would literally point it at vibrations, at a vibrational understanding. And so Jamaican culture is dealing with vibrations, which is permeated right into the popular culture; in the '60s, even the Flower Power “good vibrations,” all that kind of thing. There’s also a scientific side to that in terms of reflection, refraction, defraction. This is all the different ways that waves work in an environment. So there’s a huge depth in the idea of vibration, at a physical, scientific level. But also at a more, what I will call a more subtle level. That the subtle vibrations that a body has, which is perhaps captured in Chinese systems, where you’re talking about energy meridians in the various martial arts. These are traditions which have been going much, much longer than the Western scientific tradition, right? And so if I can make comparisons with what’s happening now, both using the Western scientific tradition of vibrations and audio mechanics and so on, but also going, reaching to other civilizations, where these vibrations have also been understood, that will be a way of doing the one thing I want to do, which is a respect to the understanding which is being achieved here, and which is allowing for affording this huge creativity, which has been going on ever since on this island. You mentioned another book that you’re working on now. What is the title of the book, what is the subject, and what led to you looking at this subject? The book I’m working on now, and in fact I hope to finish on this trip, is called Sonic Media, and that’s using the example of the sound system again, but it’s going out a bit more broadly, to understand what a sound system can tell us about what media is. And so there’s some interesting comparisons to be made with social media. Sonic media, it’s compared with social media. And so you immediately, what comes up is, it’s a kind of degrees of embodiment. I mean, I’m not saying that social media is totally disembodied, but it’s certainly less embodied, being in a digital sphere than it is being a social sphere, if you like, of the sound system itself. And so Sonic Media is getting the nature of what a sound system is, or what it can tell us about media in general. So the first third is in terms of the actual set, which I describe in terms of, as a street technology. And that’s to capture the openness and the improvisational and the ad hoc nature of how the technology is being developed. And the middle section deals with the configuration of the session itself, and how, in terms of fine-tuning the sound for the session, shaping the sound. And the third section, which is what I’m working on now, is about the sound system scene, and the complexities of that. And it’s very, very interesting, about how that works in terms of a whole ecology of activities. I use the term “music-ing” to describe that, originated by Christopher Small, and he broadened the idea, because music tends to be thought of as an object; well, in the case of a musical manuscript, that’s obviously the case, a score. But for most people, music is an activity, and it’s an activity not just for musicians, for a whole apparatus of activities, from promoters and makers of the instruments and so on and so forth. So I’m looking at it in the last section, the dancehall kind of super-culture, if you like. And what’s involved with that, what goes in to make that. Are you looking at that in Jamaica, or in Britain, or both? Or anywhere? Because with Sonic Bodies, reading the book, it was very much rooted in Jamaica. But then of course, there’s been this huge sound system culture in Britain since the early '50s, but the scene is very different because it’s constrained, with indoor circumstances. It takes place an indoor environment, which makes it totally different. Well, that’s a whole book in itself, of course, and I will reference some of the books that have been written about that, in particular, the book Sound System Culture by Paul Huxtable, a beautifully produced book, and beautifully illustrated book. And it makes a very interesting point, that if you want to find the history of sound system culture, you will not find it in Jamaica, you will find it in Huddersfield. And that is to say that the old, the technologies from which the sound system is being developed, are maintained in England in way that they haven’t…in a way that they’ve been discarded in Jamaica. And I find that very, very fascinating, that the archive is elsewhere. Because the emphasis on modern equipment, of replacement, of getting the very latest, is very much a part of Jamaican society, in different ways than the U.K. So Sonic Media is about ways of making, how the equipment is actually made, how the session is actually made, how the culture is actually made. To contrast, or to grow from the ways of knowing that I was dealing with in Sonic Bodies. The current project is called Sonic Media: Technology, Sociality, and Ways of Making, it is coming out with Duke University Press in 2018. You had mentioned before that you have a longstanding love of sound systems. What was the first sound system you were exposed to and where was that? I do indeed have a longstanding love of sound system culture, and I suppose the first sound system experience I had was with Saxon Studio in Brockley [in southeast London]. And I got them to be part of my film, We the Ragamuffin, which was in the early '90s. That was my first exposure to the sound, but also to the personalities involved. So I’ve never really forgotten that.